Part 2 of our blog series. Elon Musk is a unique person. The CEO of his own space exploration company, Space X, and the genius behind the premium car brand, Tesla, Musk is constantly pushing the edge of what’s possible. Often referred to half-jokingly as a real-life Iron Man, Musk seems to always be on the forefront of technology and innovation. Tony Stark comparisons aside, there are a few less-cartoonish aspects that make his ventures so successful. Today, we’re going to take a look at what business leaders across all industries can learn from Musk and how you can use his example to grow as a manager. Musk is not out there to make money – he’s there because he truly believes in what his businesses are doing. He’s not just a businessman; he’s a man on a mission, and that fundamentally affects how he runs these organizations. Because he’s already decided that the goal his business is after must be achieved, he doesn’t hesitate to go after obstacles that most people consider to be impossible to solve. When your obstacles must be overcome, you don’t have the choice to be defeated by them. That realization fundamentally changes your thinking, and it allows you to see what might be missing in your current business. For instance, the newly-published FAQ on Musk’s new venture – The Boring Company – explains the reasons why building tunnels for traffic wasn’t a viable opportunity before, and lists a number of improvements that can turn a crazy, impossible idea into an exciting reality. This is what Musk does with all of his businesses: he finds out what typically holds back companies in their respective field, and attacks those problems head on. This business model of seeking out the stumbling blocks of existing competitors is a large part of what’s allowed him to find such incredible success. It’s pretty safe to say that Musk has had his fair share of criticism. Car manufacturer executives tell him he’s crazy, government agencies tell him to get lost and the major leaders in the oil industry probably wish he’d find a new hobby. But he keeps on trucking. It’s hard to trust yourself when you run into opposition. When you keep hearing that very smart people have tried and failed what you’re attempting, it’s very tempting to stick with the safe option. But when you find those projects you believe in, those initiatives you are sure will rocket your organization to the top, it’s almost inevitable that your plans are going to encounter this resistance. No groundbreaking plans are obvious or without risk; if they were, then they would have been done already. You don’t have to go chasing every crazy idea that comes your way. All we’re asking is that when one comes along that you really want, you don’t give up on it. Certainly, don’t be bullish and stubborn and be sure to listen to your peers, but don’t be afraid to stick it out. Even if you don’t get everything you want, pushing the issue further than your cautious side wants you to can be the best way to make meaningful contributions to your business. When it comes to the “secret sauce” of Musk’s empire, it all boils down to hard work, because that is what makes all of the other elements of his strategy possible. Tackling obstacles and going after passion projects is only possible because he attracts talented people who are willing to work hard for him. As many employees will attest, he is not afraid to push people to work 60, 70 or 80 hour weeks…because he is personally working 100-hour weeks or more. Would you regularly work 100+ hour weeks to ensure the success of your business? Would your employees work 90 hours for you? Strength follows strength, trust follows trust, and hard work follows hard work. Not every business executive is out to save the world, and not every executive has to work 100-hour weeks. But if you want your employees to give their all to your business, first you’re going to have to do so yourself. It would be a bit unrealistic to expect everyone to work like Musk, but a good place to start would be to reevaluate the importance you place on the work your business is doing. Believing in your business makes you work harder, it inspires you to go after your passion projects, and it has a profound effect on other people you want to work for you. 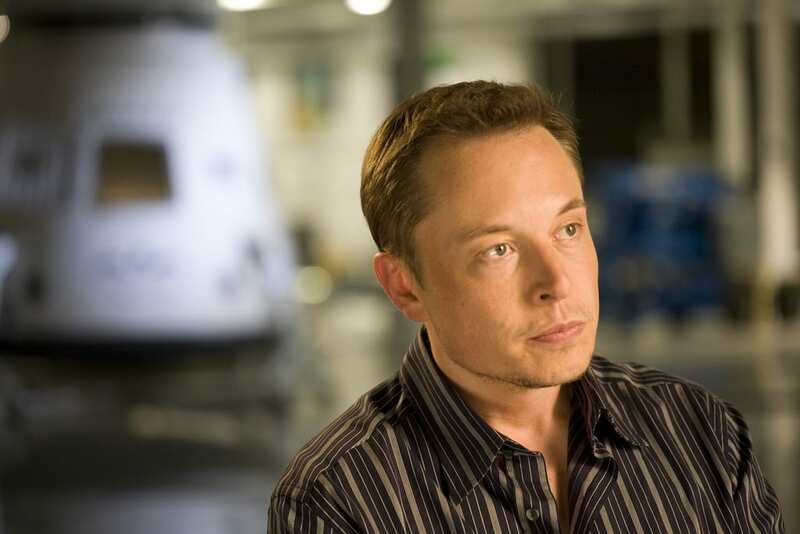 A large part of Musk’s success stems from the conviction he has in what he is doing, and if you can build that foundation for yourself, it opens up all of the other characteristics we’ve discussed here. No, not everyone is trying to go to Mars. But a tunneling company, especially “The Boring Company,” doesn’t sound that exciting at first glance either. Once you extrapolate the effects of your company – you build tunnels, tunnels open up roads, open roads improve traffic and reduce emissions, cities become more appealing, the economy grows and so on – you can start to see your effect on the bigger picture. If you want to be the next Elon Musk, you’re going to have to get invested in your work, because your enthusiasm will set the tone for your company’s future. Want to learn how to gain responsibility in your company and become more invested? Sign up for our online Strategic Management course taught live by the president of LBL Strategies, Randall Rollinson.